Fat on female thighs and hips is largely determined by inherited genetics, and it is often resistant to exercise and dieting. For some women, the lack of visible improvement in the shape or size despite vigorous exercise can be a nightmare. Fat thighs tend to convey an image of maturity, an inactive life style, and self-conscious embarrassment. In contrast, long slender thighs suggest youth, athleticism, and vitality. For many women, liposuction of the thighs means they will look better in their clothes, and they no longer need to feel self-conscious when wearing a bathing suit. Thighs can be so large that when a woman is buying clothing, she is forced to buy different sized tops and bottoms in order to properly fit the upper and lower body. For women with this “two-body syndrome” liposuction is a dream come true. For the purposes of liposuction, the outer thigh should be grouped together with the inferior lateral buttock, and the upper posterior thigh. If the liposuction surgeon only treats the outer thigh, and ignores the excessive fat in the inferior buttock and the upper posterior thigh, then the result may be disproportionate and cosmetically displeasing. Although a woman might regard her thighs as her biggest problem, optimal cosmetic results may also require liposuction of the hips. The shape of the outer thigh and buttock can change with age. It is probably attributable to an age related increased gluteal weight, and loss of tissue elasticity. Thus older women may require a small amount of liposuction of the inferior outer buttocks. The prominent banana-shaped bulge of fat on the upper posterior thigh immediately below the buttock is often regarded as a cosmetic “defect.” When attempting to treat this banana-shaped bulge by liposuction, it is very easy for the surgeon to do too much liposuction and create an extra horizontal infra-gluteal crease. Such a double crease beneath the buttock can be avoided by treating a banana-shaped bulge in two stages. During the first liposuction, only fifty percent of the estimated amount of required-liposuction should be done. Several months later, when the results of the first liposuction are apparent, one can decide if an additional “touch-up” in the area is required. It is always better to do too little liposuction the first time, rather than too much. Some women do not have a prominent crease between the buttock and the posterior thigh. 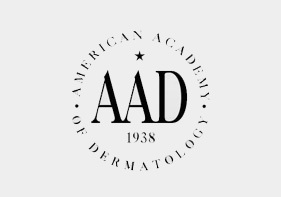 When this crease is present, it is the result of fibrous tissue that connects skin to muscles. 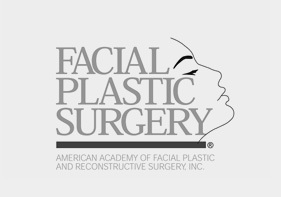 The crease cannot be artificially created by liposuction. 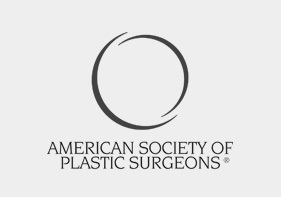 When a liposuction surgeon attempts to create such a crease, there is a significant risk of removing too much fat and creating a permanent deformity that looks unnatural. Reduced swelling and tenderness, and more rapid healing after liposuction can be achieved using the technique known as open drainage and bimodal compression. 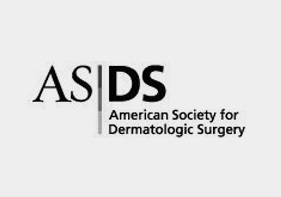 Open Drainage means that skin incisions are not closed with sutures after liposuction, but instead are left open to encourage drainage of residual blood-tinged tumescent fluid. Open drainage requires placing a few adits , which are tiny (1.5 mm or 2.0 mm) round openings in the skin made by skin biopsy punches. Specially designed super absorbent pads are placed over the adits to absorb the drainage, and to uniformly distribute the compression from postoperative garments. 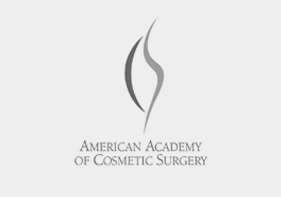 This means the initial use of two specialized compression garments to provide added compression that encourages maximal drainage of blood-tinged tumescent fluid after liposuction. After all drainage has ceased, usually in two to four days, only one compression garment is worn for comfort. Circumferential Thigh Liposuction around the entire circumference of the thighs on a single day can produce excessively prolonged healing and swelling. Circumferential liposuction produces circumferential trauma and inflammation with impaired absorption of localized fluids leading to swelling of the leg and foot. This swelling can impair venous drainage from the leg and increase the risk of deep vein thrombosis. In order to minimize postoperative swelling and pain, circumferential thigh liposuction should be done as a two-stage procedure done on two different days at least a month apart. For example, one might initially do liposuction the hips and outer thigh, then a month later complete the circumferential liposuction by doing the anterior and inner thigh. By separating circumferential thigh liposuction into two surgeries, patients can return to normal activity almost immediately after each procedure, with minimal swelling.